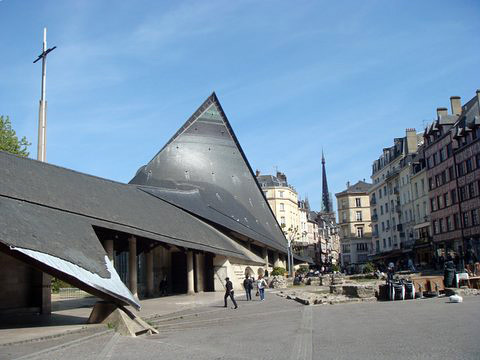 "Rouen! Rouen! Must I die here? Ah, Rouen, I fear you will have to suffer for my death!" 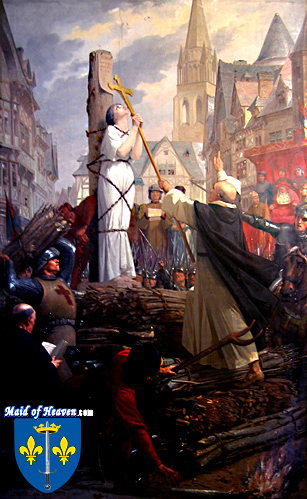 Rouen was where Joan of Arc died on May 30, 1431, when she was burned to death in the Old Market Square (Place de Vieux-Marche). 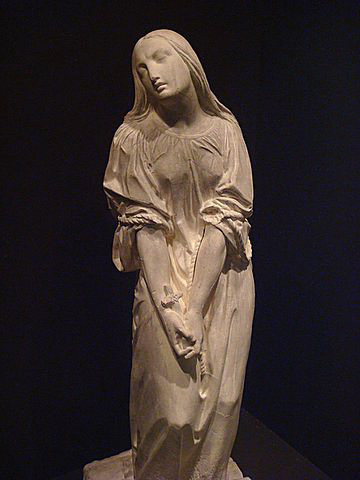 Joan first arrived in Rouen in late December 1430 and was imprisoned in the castle of Philip Agustus. While officially a prisoner of the Church she was actually guarded by English soldiers under the command of Richard Beauchamp the Earl of Warwick. 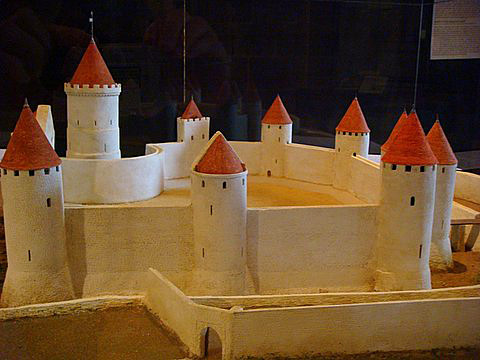 As the Burgundian Knight Aimond de Macy who visited her while she was a prisoner later described: "Joan was in the chateau of Rouen, in a tower situated toward the field." Joan was held in a dungeon tower and court bailiff Jean Massieu later described her harsh treatment: "Joan slept with her legs held by two pairs of irons, her body wrapped round by the chain which, crossing the foot of her bed, was fastened to a great piece of wood, locked with a key. In this way she could not move from her place." 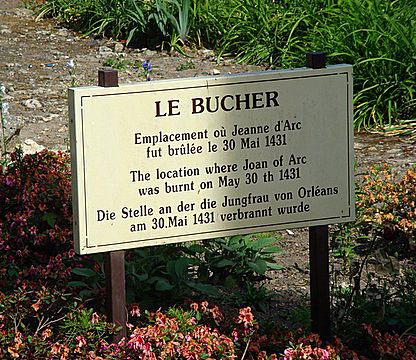 The simple sign below marks the spot where Saint Joan of Arc died.